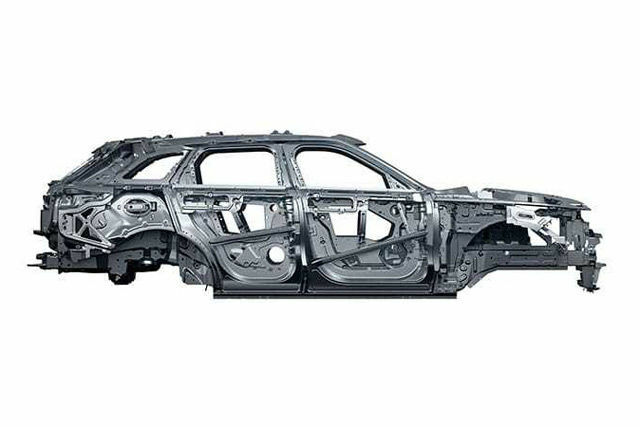 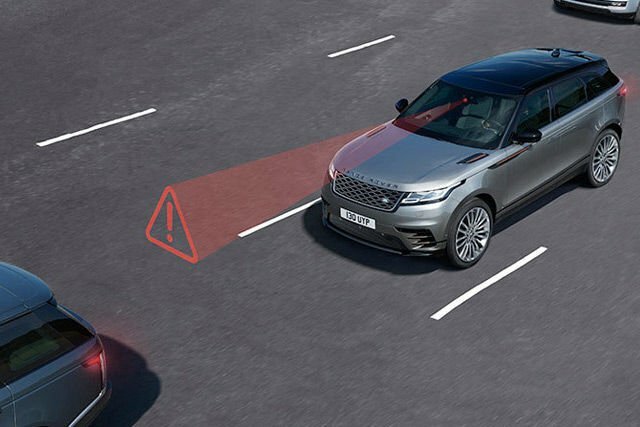 This optional system delivers a flat ride and optimum control by monitoring body and steering movements up to 500 times a second. 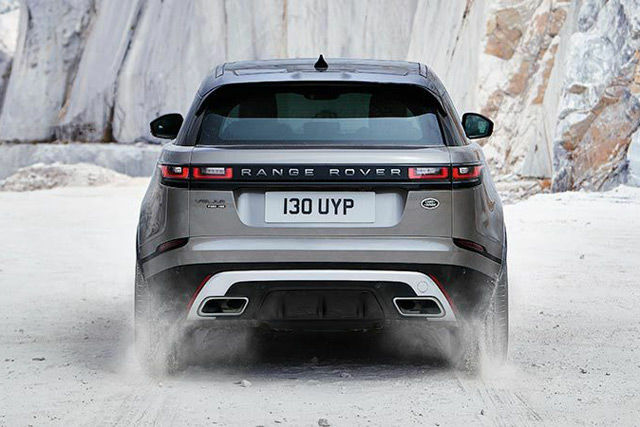 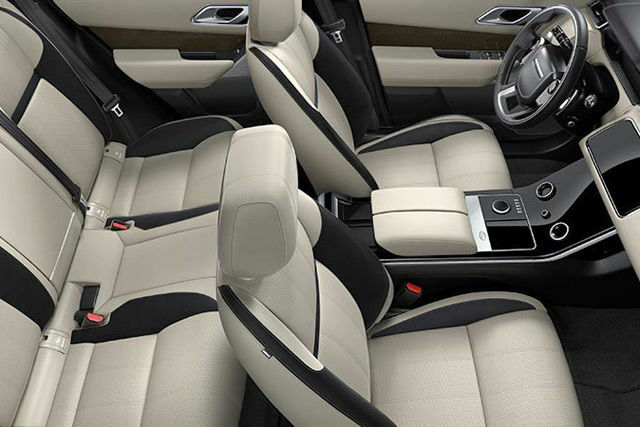 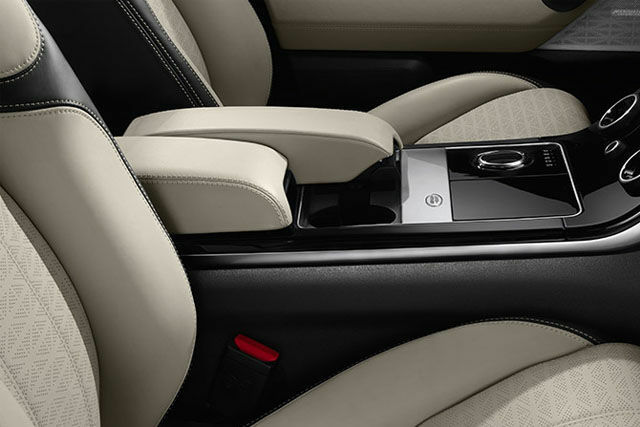 It reacts to driver and road inputs by offering continuously variable damper settings between soft and firm extremes. 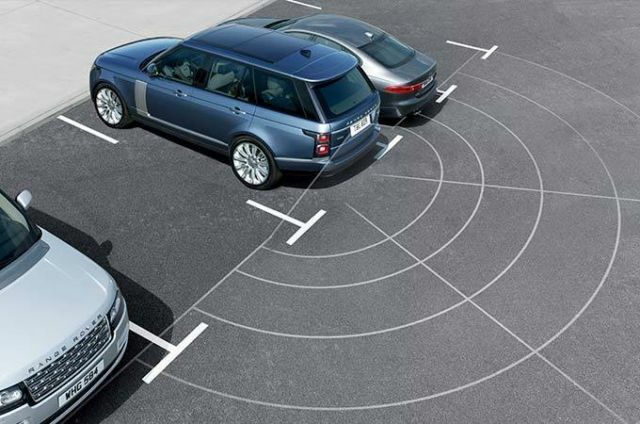 Making manoeuvring easier. 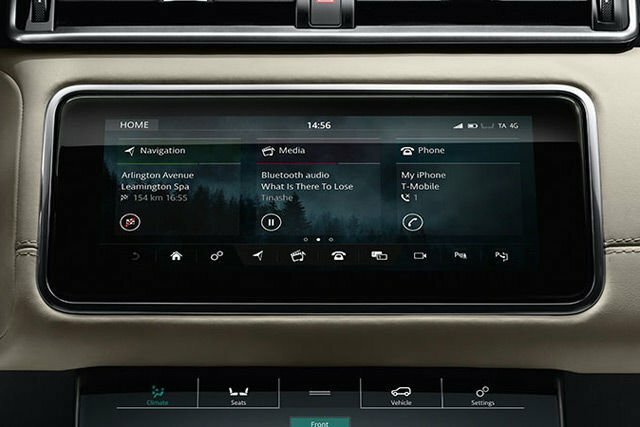 Activate by selecting Reverse, or via the Touchscreen, and the on screen graphics and audio feedback will indicate how close you are to obstacles. 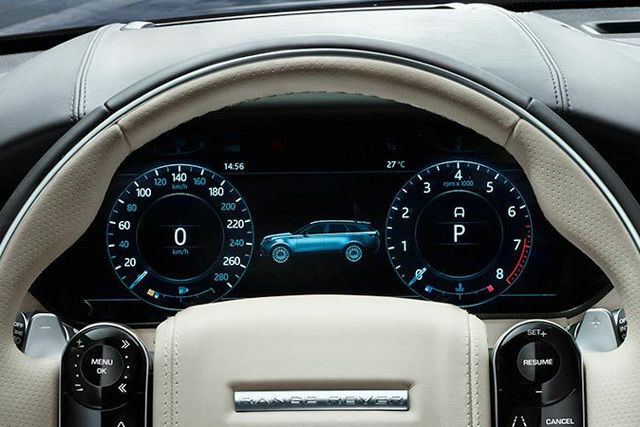 Provides improved visibility when reversing. 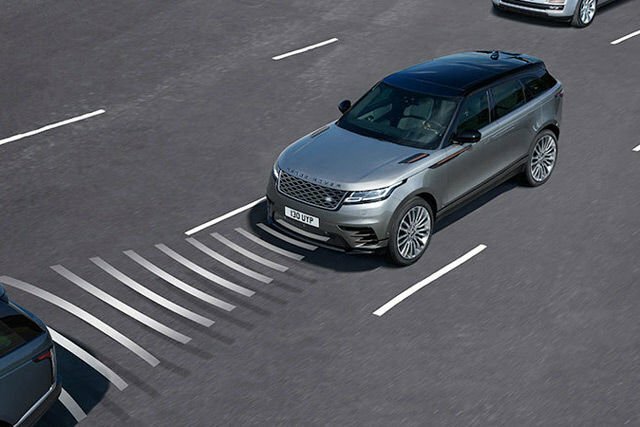 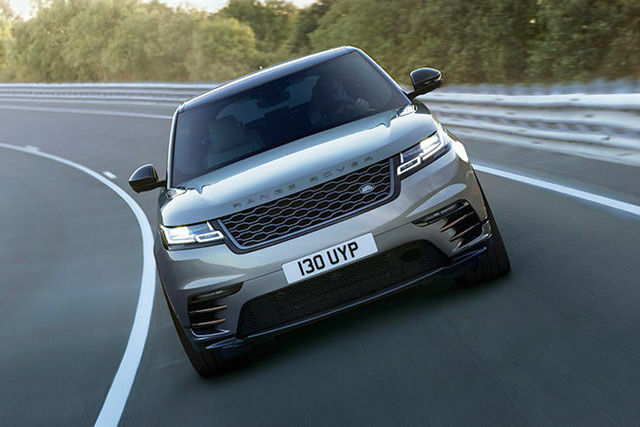 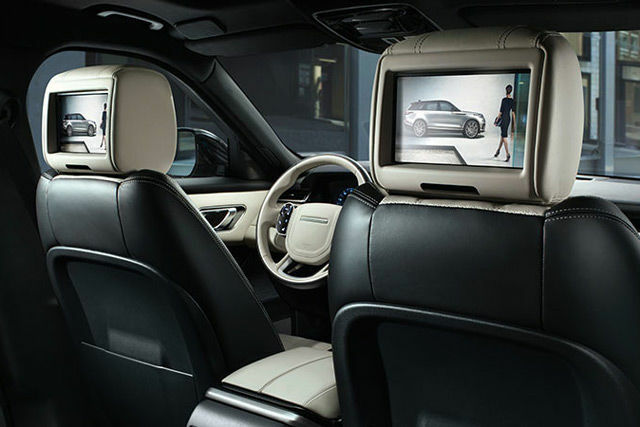 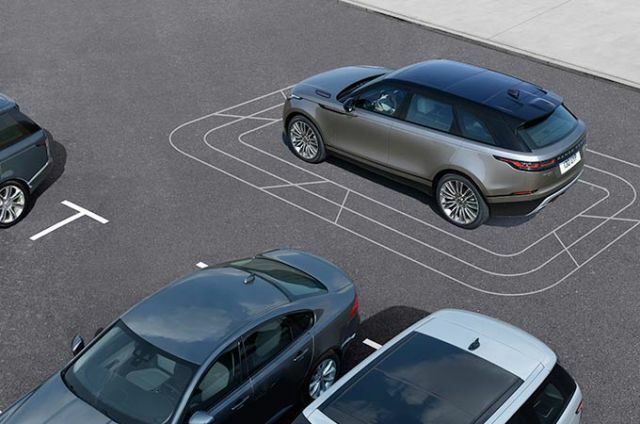 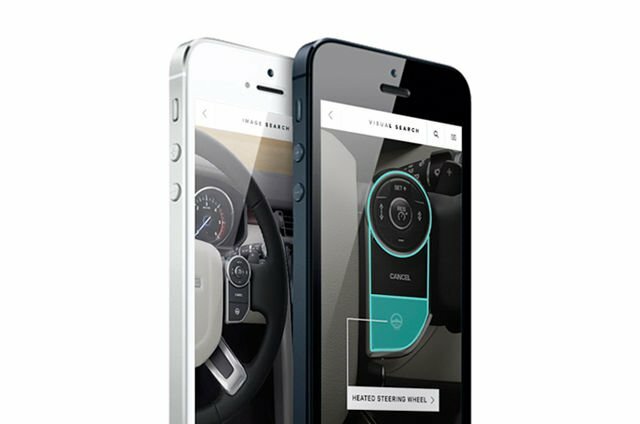 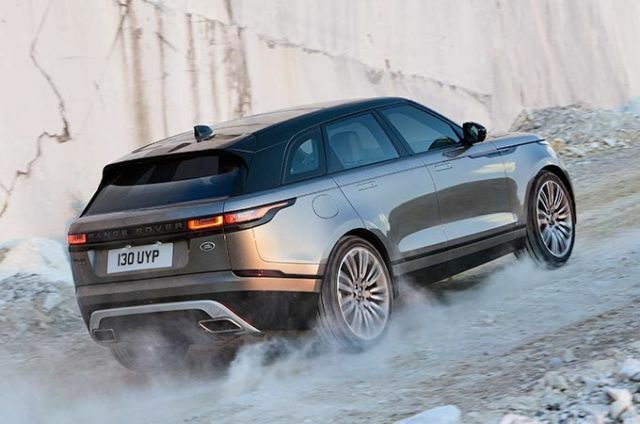 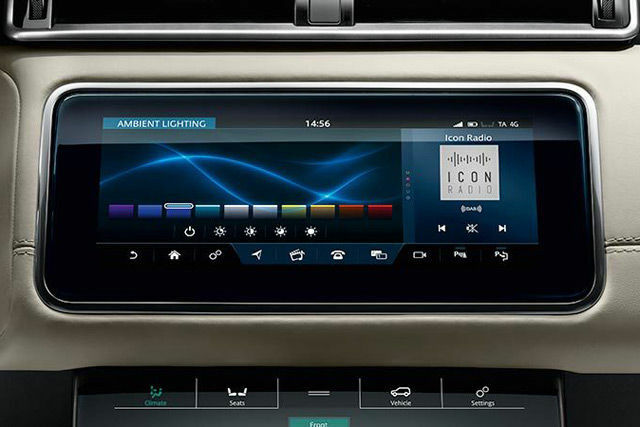 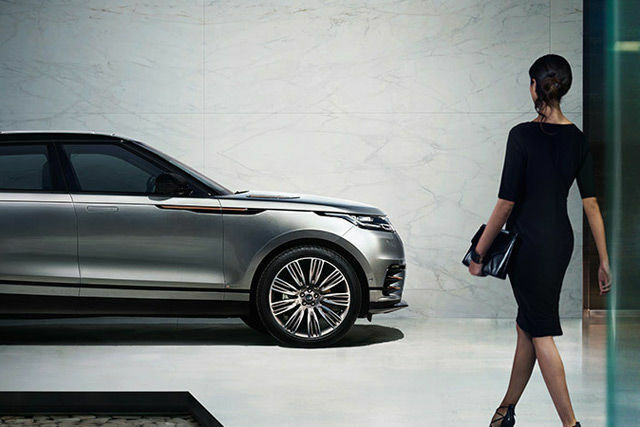 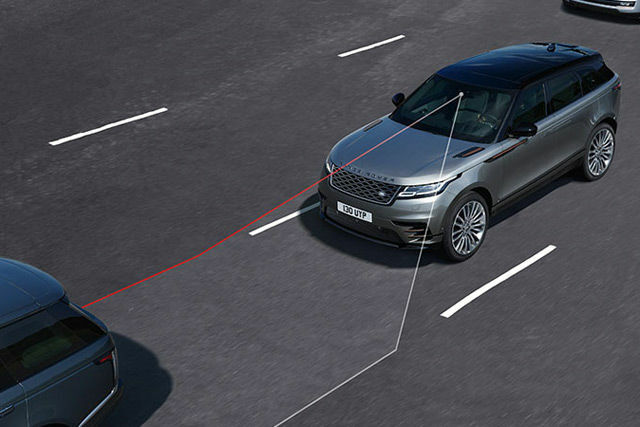 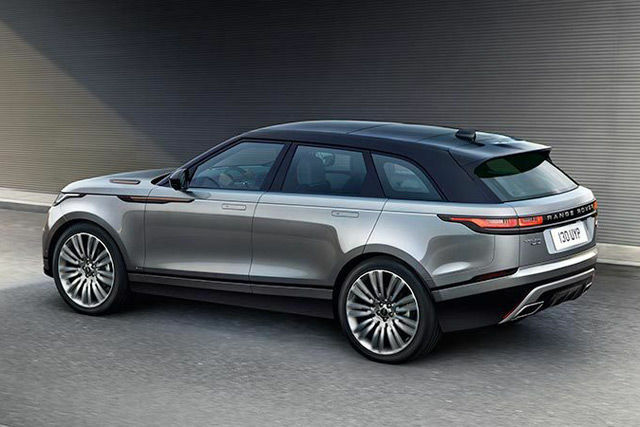 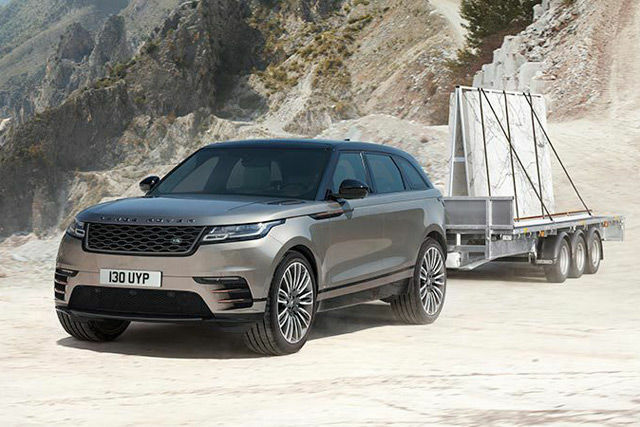 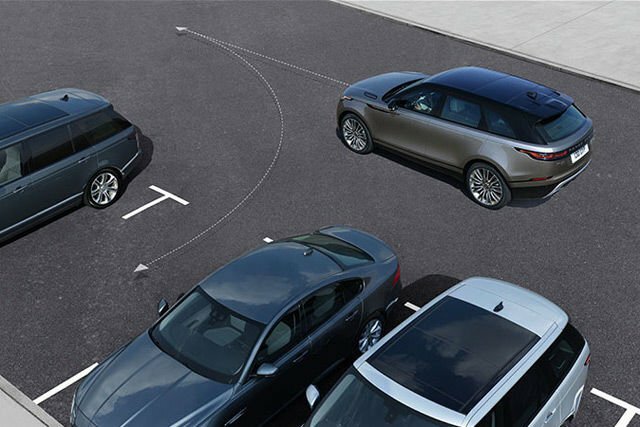 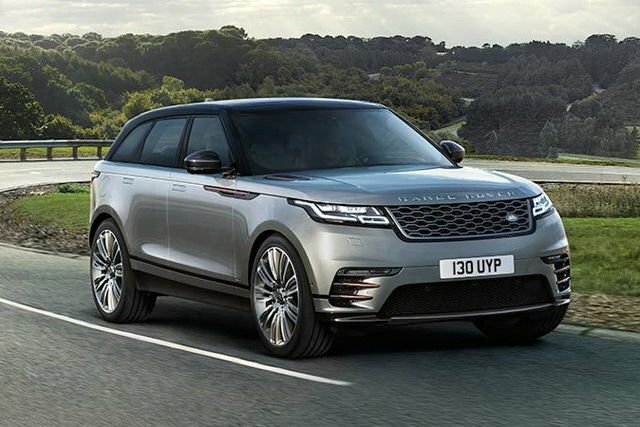 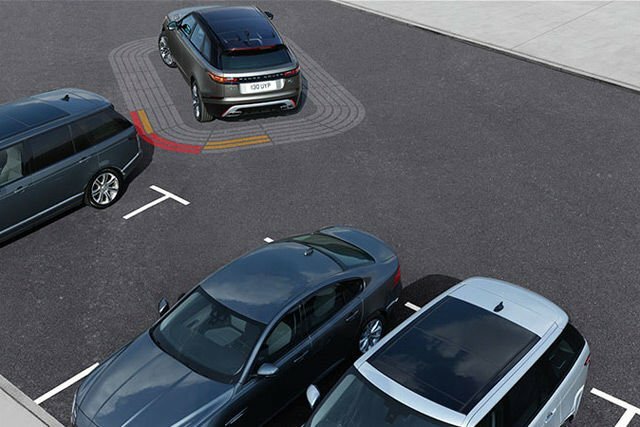 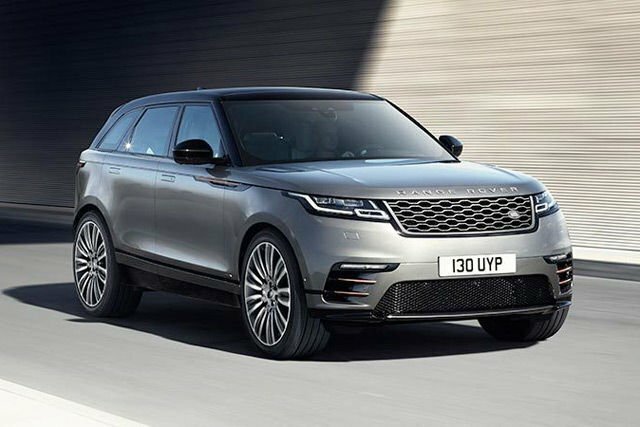 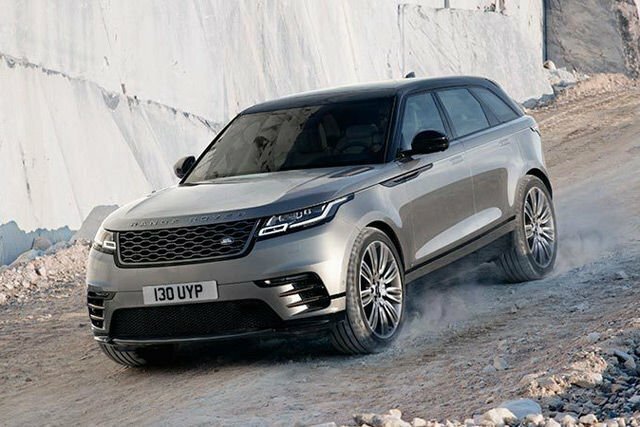 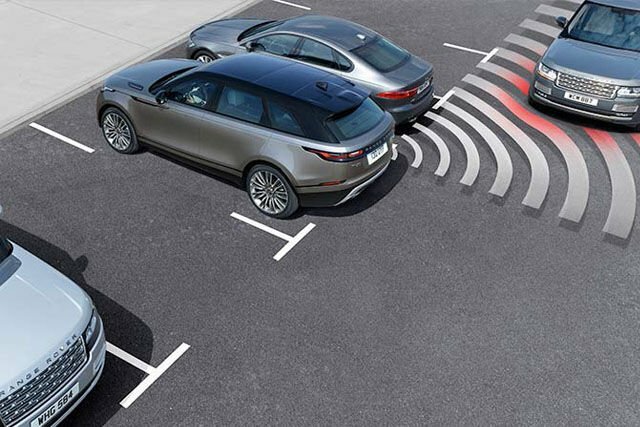 Lines representing Range Rover Velar, and your projected path, appear on the Touchscreen to assist with parking or hitching a trailer. 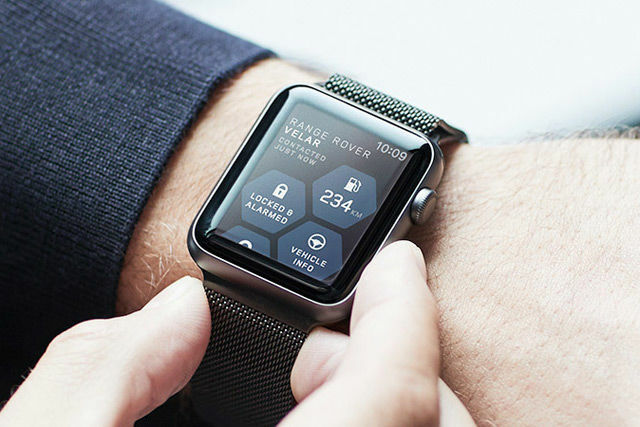 2 Online functionality and Wi-Fi connectivity is dependent on the installation of a micro SIM with suitable data contract. 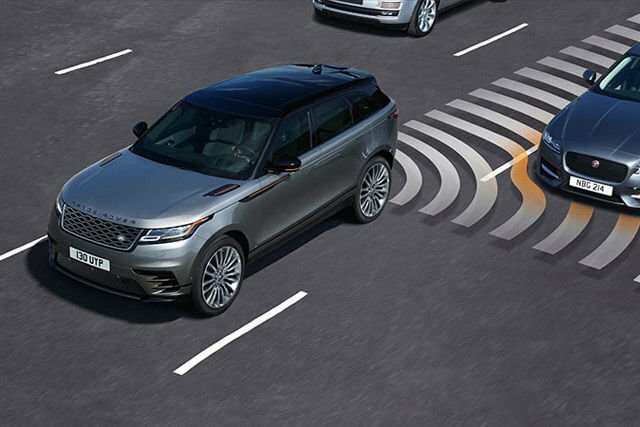 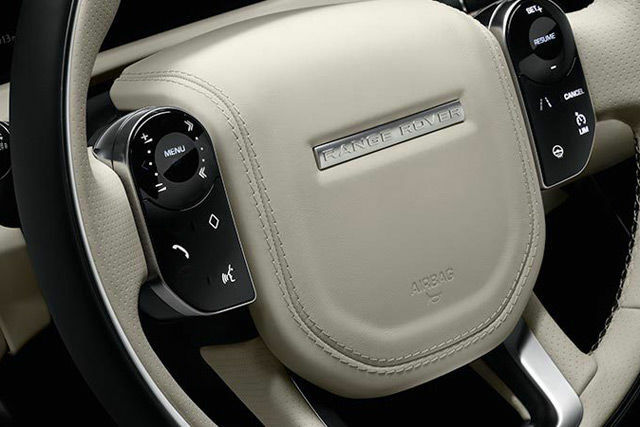 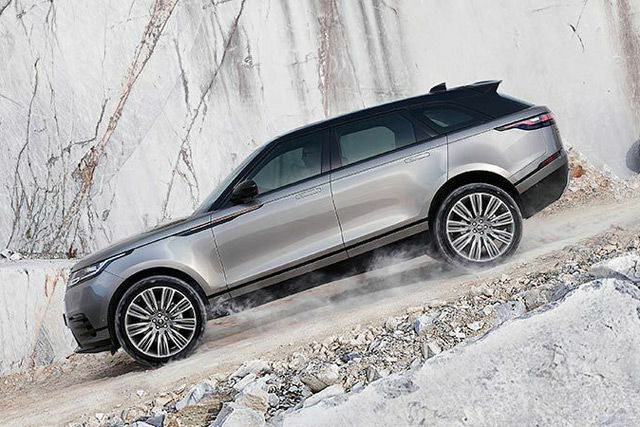 4G Wi-Fi Hotspot, and Pro Services contain subscription that can be extended after the initial term advised by your Land Rover Retailer. 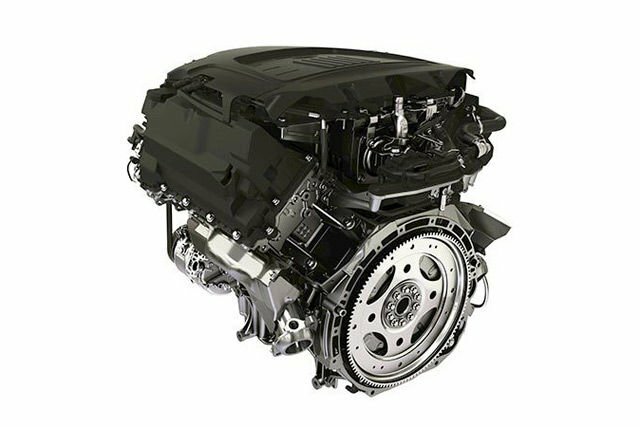 3 Optional on D275, D300, P340 and P380 powertrains. 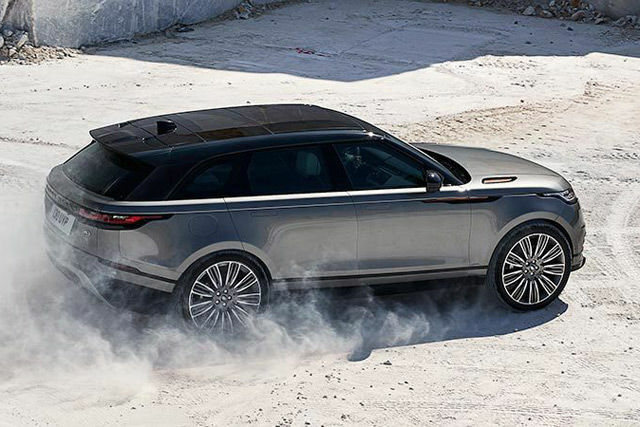 4 Not available on D180 and P250 engines.